Have you ever had the experience of working on a campaign, an appeal or a piece of content that just doesn’t seem to connect with your audience? In charities and campaigns, we’re often too close to our cause to see it with an objective eye. Design Thinking is an innovative method that helps us to break out of our own assumptions, and which ensures that our users’ needs are considered and prioritised at every step of a project. Design Thinking involves conducting interviews with users, brainstorming ideas, and using rapid prototyping to quickly test and improve your ideas. It can be done easily, quickly and cheaply in your own organisation and can be used for any size of project. You don’t need to be a designer, or a ‘creative’ / ‘visual’ type to use Design Thinking – it’s a philosophy and a process that anyone can use. 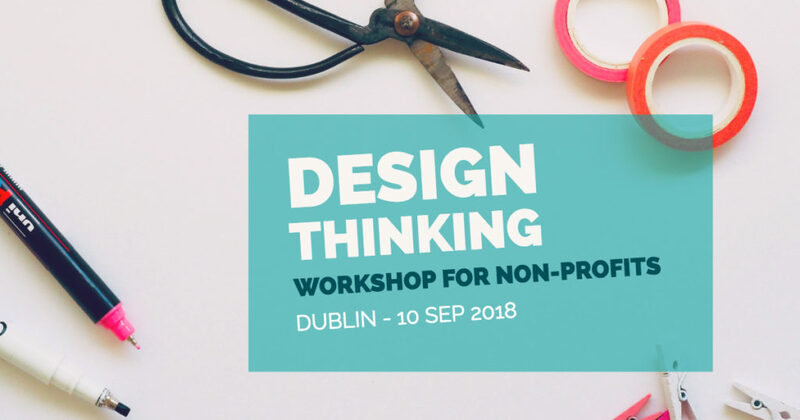 Come to Digital Charity Lab’s interactive workshop on Design Thinking, where you’ll learn about the concept, complete a design thinking challenge from Stanford Design School, and leave with a new creative method for your work! An introduction to Design Thinking – what, why, how?